Foxcatcher is about leaving the shadows of comfort and forging your own path. The hard-won road toward personal singularity has its price and that becomes the source of much of the subdued dramatic tension in Bennett Miller’s film. Foxcatcher is an unsettling picture that positions its characters in a dense fog of distress and isolation. Silence dictates movement in the film, where its triptych of characters communicate through physicality rather than words. It is a depressing and oppressive work, though a notably powerful one. Bennett Miller opens Moneyball with a title card that notes the difference in team salaries between the New York Yankees and the Oakland A’s. The disparity between the two is enormous. The two teams met at the American League Division Series in 2001, with Oakland just barely losing the series. Moneyball begins at that loss, with Billy Beane (Brad Pitt), the General Manager of the A’s, having to assemble a new team after three of his star players go on to greener pastures. 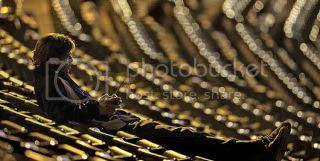 This set-up is interesting in that it very astutely analyzes the cyclical nature of baseball while attempting to provide a grounded human element to the proceedings. It’s not entirely successful, but there’s boldness to the simplicity in which Bennett Miller and writers Steve Zaillian and Aaron Sorkin address how to adapt Michal Lewis’ book. What impressed me about Moneyball is how it flips the notion of the “sports movie” by making the heroes of the film those who aren’t on the field. So much of Moneyball takes place within the confines of an office space, wherein Miller relies on quick shots of graphs, statistics, and computer screens to elevate the stakes. It’s the best method one can use for a film that essentially is dependent on how math and science served to redefine the standards of an American pastime. Moneyball’s best scenes don’t involve baseball itself, but rather moments when Peter Brand (Jonah Hill) and Billy Beane discuss the value of a player from a statistical standpoint, disputing the logic of former players and talent scouts who sit in a room in fervently countering their embrace of sabermetrics. There are several issues I have with Moneyball, particularly as Miller and his writers attempt to flesh out the Billy Beane character. These problems stem from flashbacks that serve to address Beane’s past as a would-be prospect who gave up a Stanford education. These glimpses at Beane’s past offer little in the form of substance and serve to simply elevate Beane into a saint-like figure on a quest to fulfilling a larger grandiose purpose. 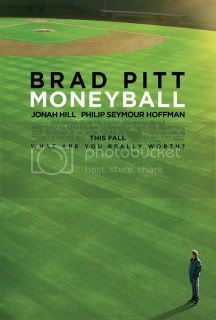 It counters a lot of Moneyball’s attempts at stark realism and makes for some jarring tonal adjustments. There are also some rather flat attempts to include players of the ballclub into the larger scheme of the narrative, but these half-hearted attempts at fleshing out their characters don’t bode well for a film that is largely driven to establish the importance of numbers over the individual. Moneyball succeeds as a sort of anti-sports film – it’s satisfying in the same way that something like The Fighter was successful. It’s well-made in the traditional sense, and boasts a satisfying array of actors working with some of their best material yet (this being the case for both Jonah Hill and Brad Pitt). Its problems lie in the fact that it simply doesn’t seem to know what it wants to be. This is undoubtedly caused by the two prong approach to writing the screenplay, as both Steve Zaillian and Aaron Sorkin have a tendency to write in very different ways. The result is uneven – thankfully director Bennett Miller, Brad Pitt, Jonah Hill, and Philip Seymour Hoffman make the save.